July 20, 2015 – A study released last week by the International Academy of Astronautics found that space mineral resources (SMR) can benefit humanity and serve as an economic “game changer,” especially in developing countries. The study, the most comprehensive to date, examined the latest technologies, economics, law and policy related to SMR opportunities and included several recommendations to space agencies and analysis of options to advance this exploration. “This study is not about how to leverage space mineral resources, but rather how best to leverage them,” according to Art Dula, co-editor of the study and a faculty member of the Houston Law School where he teaches space law. Dula is also Trustee of the Heinlein Prize Trust, one of the organizations participating in the study. “Improving the world we know today will be possible by leveraging the phenomenal resources available in our solar system,” he said. Humanity, in general, will benefit from mining space mineral resources, with developing countries positioned to realize the most gains. The study found that SMR is a potential “game changer” for still-developing cultures by leveling the playing field and opening new opportunities for growth and exploration, giving them an unprecedented seat at the table. SMR has the potential to provide resources for space sustainability. 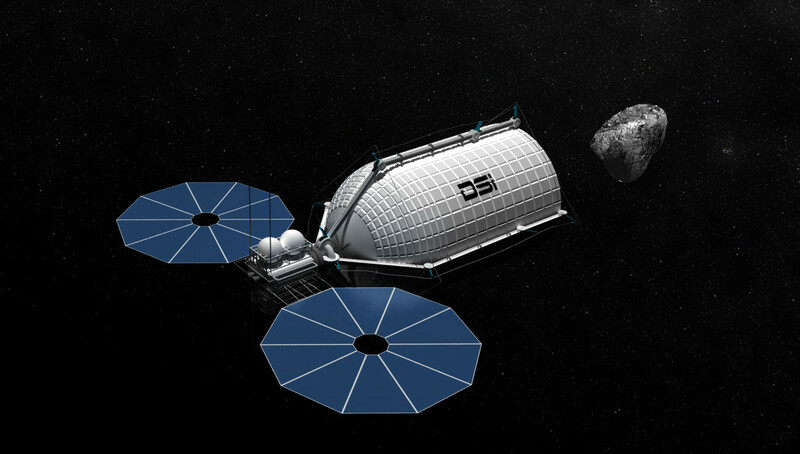 Mining water from asteroids, the Moon or Mars, for example, will ensure that human exploration will expand beyond low Earth orbit. The price to develop water resources on the moon or from asteroids is significantly less expensive than the delivery price from Earth, making water the new space currency. Establishing spaceports and selling water that was mined from the Moon or asteroids will enable growth of our solar system and unlock the space economy. “Once we are able to extract water and various minerals from the moon and other heavenly bodies, it will have a tremendous synergistic impact on our ability to explore the solar system and establish a true space economy,” said Dr. George C. Nield, Associate Administrator for Commercial Space Transportation, Federal Aviation Administration. “This comprehensive report provides an outstanding reference for all those interested in understanding the details of how it can be done, why such an effort is worthwhile and what challenges we will face along the way,” Nield said. The study also emphasized the importance of commercial space industry involvement in SMR, recognizing that we cannot be dependent only on government space programs. Commercial ventures are critical and will determine the optimum path for success in leading the way beyond low Earth orbit and mining SMR. “Deep Space Industries believes this study focuses on what is possible now,” according to Rick Tumlinson, chairman of Deep Space Industries. “We urge the international community to continue engaging and working with the space resource industry to create a better tomorrow for our children,” Tumlinson said. The study provides a roadmap that, if followed, will maximize the speed and likelihood of SMR development and the corollary benefit of protecting humanity from threatening circumstances including disasters with serious negative implications. “This unprecedented study is the outcome of international collaboration, involving industry leaders and space professionals with different background from as many as 16 nations. The study shows how important it is to create a sound legal environment for SMR exploration and mining from both national and international perspectives,” according to Secretary General of the China Institute of Space Law, Zhang Zhenjun, who served as co-editor of the study. Participation in and funding for the study was provided by international organizations, universities and corporations from around the globe. The study was released at NewSpace2015, an annual event that brings together Silicon Valley’s investors, technology innovators, space startups, established companies and government agencies.